Cube World Mods » Stand-Alone Mods » Player Models » Races pack. This pack includes all eight races, modified by me. Most of them are new (demivampires, titans, satyrs, tengus, melechos, dragomorphs, hazwians), but also i left one common race (elves). It is my biggest model pack with long story of the creation and numerous recreations. For now it is one of the best race modifications, if not best, and more than two thousands of downloads confirms it. You will definitely like it. If so, then download, install and make your game more epic. Version 23: Some new remodellings. Version 22: Main change in this version is turning goblin race into the tengus, japanese demons with long noses. Also created three helmets and some not so big models. 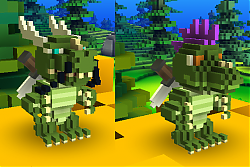 Version 21: Some recreations with different scales. Main part of this update is new race, hazwians. These creatures grew up from the prehistoric lava elementary organisms during the evolution and then settled throughout all lands. Version 20: Undeads was recreated into badgers (race name-melechos). 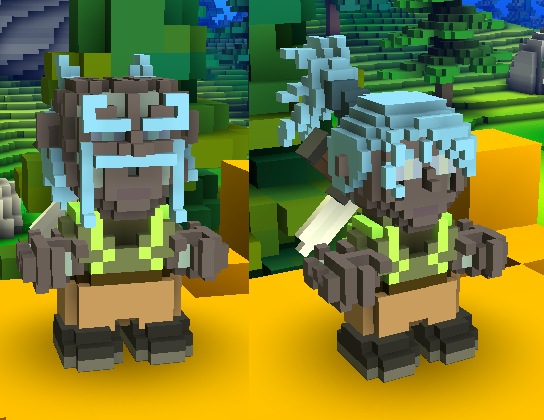 Version 19: Decreased head size for male stonemen (now they called titans). Renamed bears (now they are ursoarcts). Changed some models for different races. Fixed vampire faces for better look with Kratos' beard. Version 17: Hardly i will write in this update all, what i've done. But one i'll write: almost all races got the update, so look for yourself. Version 16: Some goblin and undead models was changed, also now you can create black metal vampire. 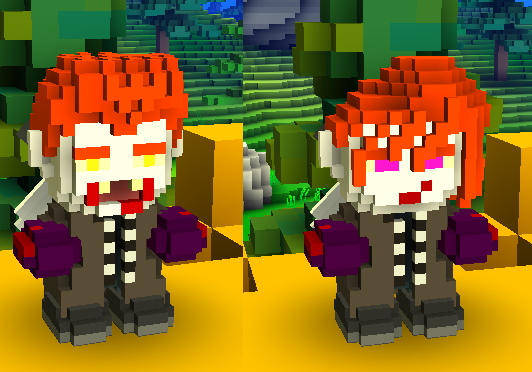 Version 15: little update for half-vampire models. Now we have Madara and Hashirama from "Naruto". Along time ago i released 13th version of this pack. But now it's time to release next version after long rest, dattebayo! So, let's start. Version 14: Humans became half-vampires. P.S. In honor of this release i added little bonus-recreated models of my dragon. Version 13: Added me, my friend and humans. Have fun ^^. Version 12: Demons became stonemans, big antropomorphic stones, such as Frangors from "Forsaken world". 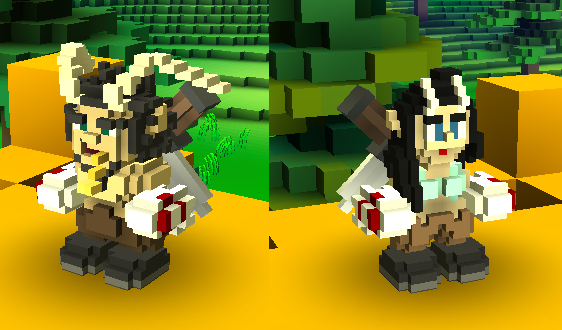 Version 11: From now you will see in the game satyrs instead dwarwes. Ba-a-a-a-a!!! Version 10: Now with bears and dragons! Version 9: Recreated frogs. Now they are look like living crystals. Unusual, yes? Version 7: Updated two races: elves and orcs. 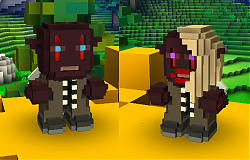 Now elves wear new hairstyles, elven girls have customizeable lips color (it changes with hair color), and the orcs became ... demons !!! 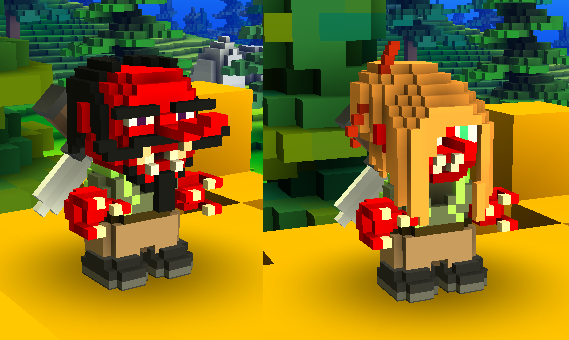 Version 6: Recreated orcs. Now you can create yourself an orc samurai. 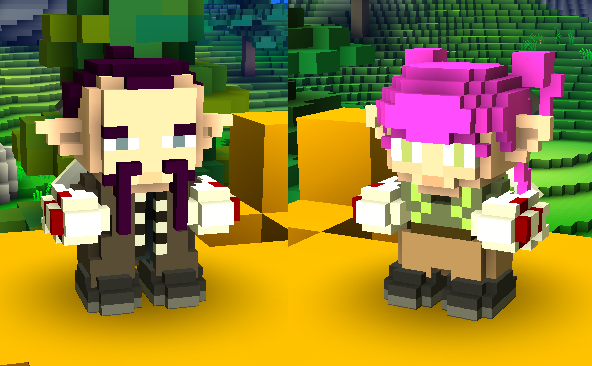 Version 5: Added new race-goblins! 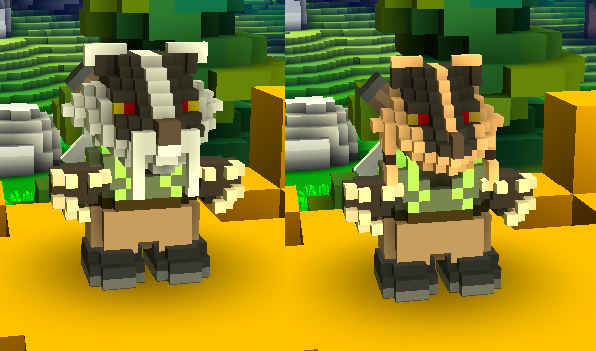 Also created four new models for the orcs, namely the hood and three masks. Version 4: Finally added frogmans. Also once again "evolved" orcs. Version 3: The modified model of orcs and dwarves. The next version will be added frogmans. Version 2: added undeads, changed some models elves and orcs. Version 1: changed the original models of elves, orcs, dwarves, and lizards.